The project LIFE12 ENV/IT/000374 was presented at the FIMMA fair in Bento Gonçalves – Brazil. (held from 16th to 20th March 2015). At FIMMA exhibition the PAL presented the innovative project which has been co-funded by the European Union under the LIFE+. The project LIFE12 ENV/IT/000374 was presented at the Woodmac China fair in Pudong, Shanghai – China. (held from 11th to 14th March 2015). At Woodmac China exhibition the PAL presented the innovative project which has been co-funded by the European Union under the LIFE+. At DELHIWOOD exhibition (held from 4th to 7th February 2015) – New Delhi, India – CEPRA and PAL presented the project LIFE12 ENV/IT/000374. The project LIFE12 ENV/IT/000374 was presented at the Ecomondo fair in Rimini – ITALY (held from 5th to 8th November 2014). At Ecomondo exhibition the PAL presented the innovative project which has been co-funded by the European Union under the LIFE+. The project LIFE12 ENV/IT/000374 will presented at the IWF fair in Atlanta – U.S.A. 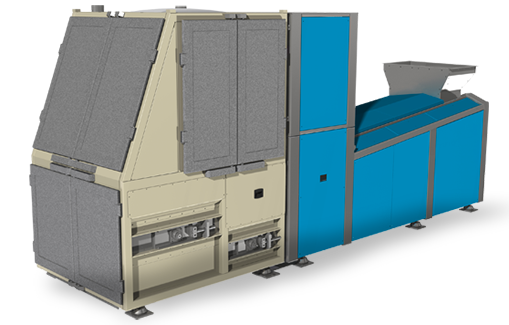 PLASTIC KILLER, a system for cleaning the recycling wood from plastics so as to use it instead of virgin wood in the production of high-quality panels or clean fuel. On June 27th Plastic Killer project LIFE12 ENV/IT/000374 was exposed at "Acimall Assembly". Audience: about 60 manufacturers of woodworking machines.